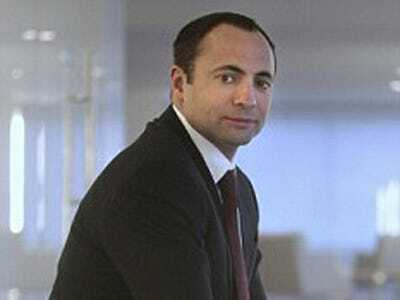 Last week masked Russian police raided Deutsche Bank’s Moscow office because of this man: Ashot Yegiazaryan.He’s a Russian banker and politician who’s connected to a scam in which $87 million was pilfered from a hotel construction in Moscow. He ran the now-collapsed Moscow National Bank, and has been embroiled in a real estate controversy since September last year. And now he’s fled to the U.S. He received a ton of death threats after he filed a lawsuit against a close buddy of Vladimir Putin, the Daily Mail reports. The friend, Arkady Rotenberg, is Putin’s long-time judo partner. Yegiazaryan says he may seek asylum in the U.S after he accused some of Russia’s top political and business brass of swindling him on real estate deal that involves the famed Hotel Moskva – a landmark that’s being renovated just off Moscow’s Red Square. Yegiazaryan says he was forced to relinquish his $2 billion stake in the project after an intimidation offensive waged by his opponents. He was allegedly raided multiple times, slandered in the press, and received a series of death threats for almost two years, including threats of savage revenge against his children. Mr Yegiazaryan said he was forced to hand over his share in the hotel in June 2009 after a campaign of intimidation that included raids by armed police and threats of criminal prosecution. He said he also received threats to behead his children if he did not give in. Yegiazaryan arrrived in the U.S last September and filed a civil suit in a Cyprus court charging a billionaire Russian investor called Suleiman Kerimov, with spearheading a hostile takeover of the Moskva project. Within weeks Yegiazaryan is stripped of legislative immunity by fellow parliamentarians back in Moscow. He’s charged with fraud by Russian prosecuters. Meanwhile, about $6 billion of Kerimov’s assets have been frozen.